4 Celli. 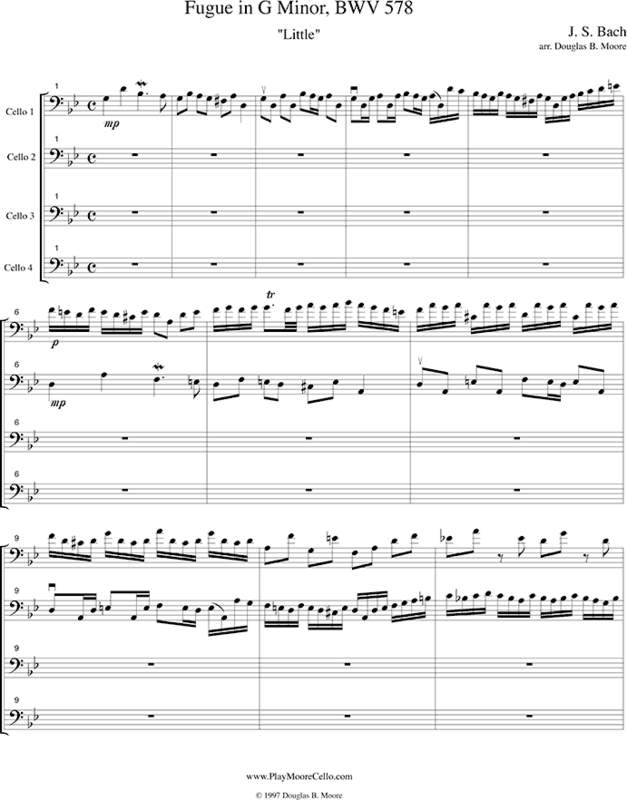 “Little” Fugue in G Minor, BWV 578 and “Gigue” Fugue in G Major, BWV 577. Especially effective for cello orchestra, works for quartet as well. All parts in bass clef, upper ones are in and occasionally above fourth position. Intermediate diffculty. Score and 4 parts. Recorded excerpt is of student cello orchestra playing part of the G Minor Fugue.